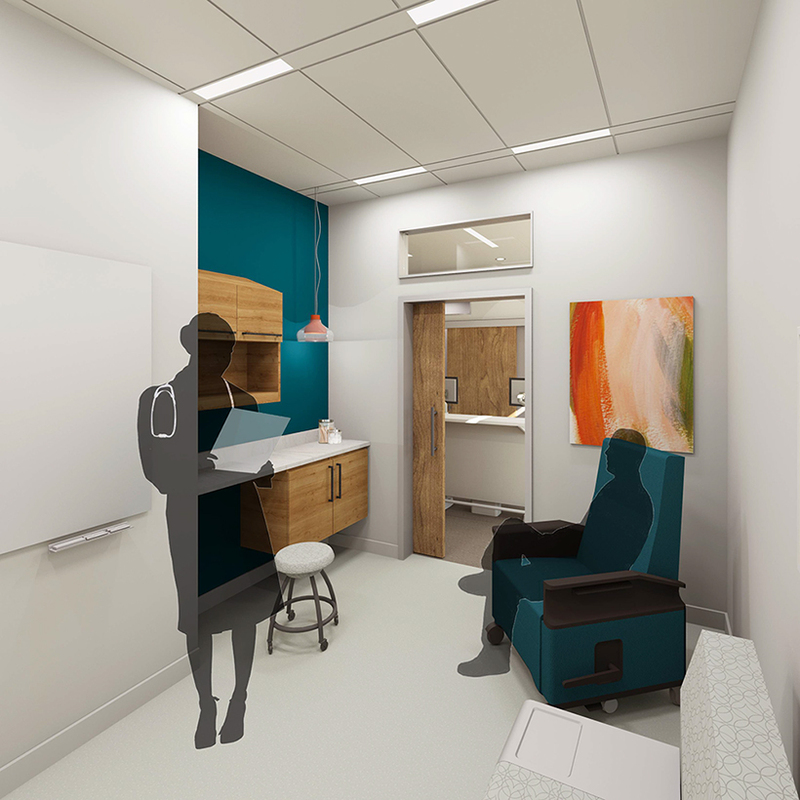 AMES, Iowa — A project by Iowa State University interior design senior Hannah Hughes, Fort Dodge, has been recognized in the 5th Annual Steelcase NEXT Student Design Competition. Hughes received one of five honorable mentions awarded out of 800 entries from 65 different university programs nationwide. 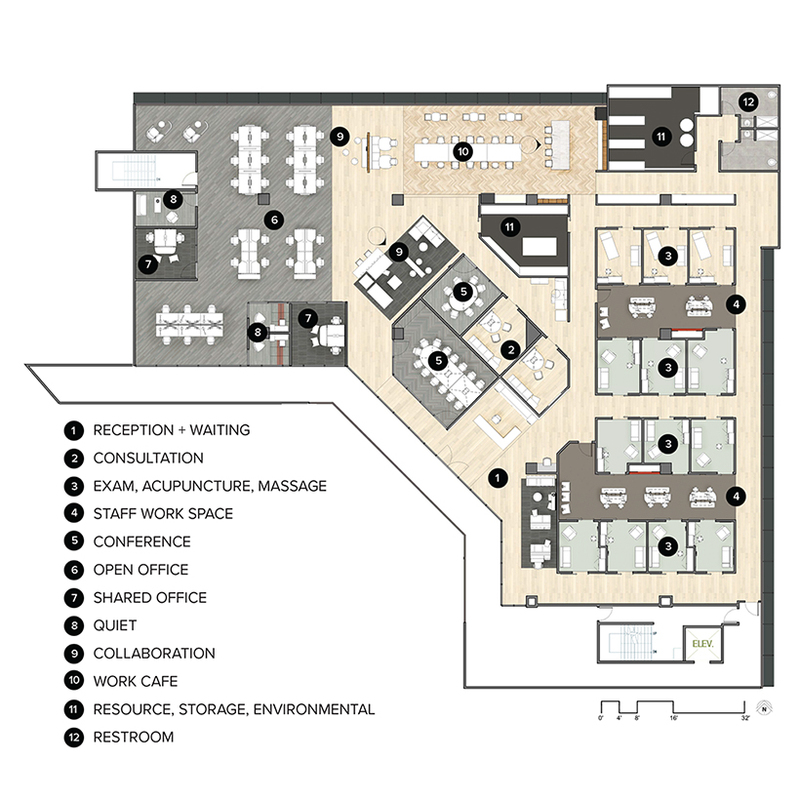 Given resources such as maps, photo views and CAD models, entrants were required to imagine their design in an existing 12,000-square-foot-floor plan. 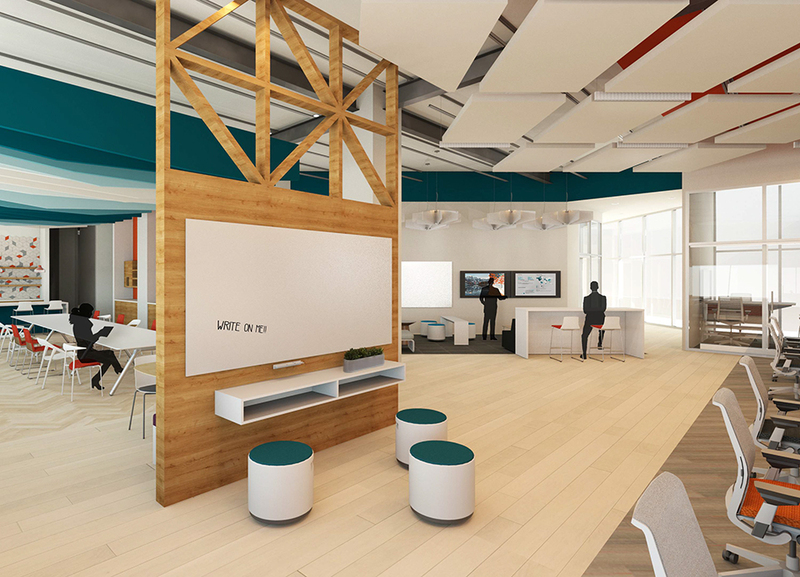 They were encouraged to incorporate the most current technology, lighting and space solutions Steelcase has to offer in their design. In her work, Hughes chose to focus on the role of a balanced lifestyle in overall wellness. 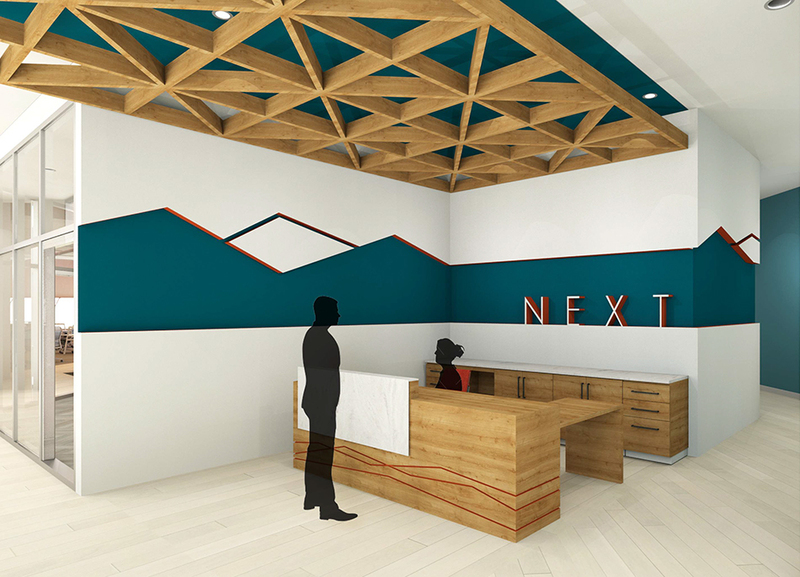 “The NEXT [design] will encourage balance holistically, … through color and materials, energizing and comforting space, architectural elements, spaces for adventure and spaces for rest,” she said in her competition submission. Her proposal for the NEXT building incorporated six dimensions of wellness she recognized in Steelcase’s research: optimism, authenticity, belonging, mindfulness, meaning and vitality. Hughes designed the floor plan to guide a visitor to distinct spaces that each promoted one of the six dimensions; the balance among them can be felt through repeated colors, textures and patterns. Much of Hughes’ concept was inspired by an “on stage, off stage” flow technique she learned at her ongoing internship at Invision Architecture in Des Moines. The goal was to provide complementary but distinct paths for patients and staff to follow, so that one group never intersects another unintentionally, she said. “This method helps maintain a separate atmosphere for working and waiting areas,” she said. Hughes was selected via a peer jury as one of two representatives from her class section, taught by Lecturer Michael Ford, to submit work to the competition. 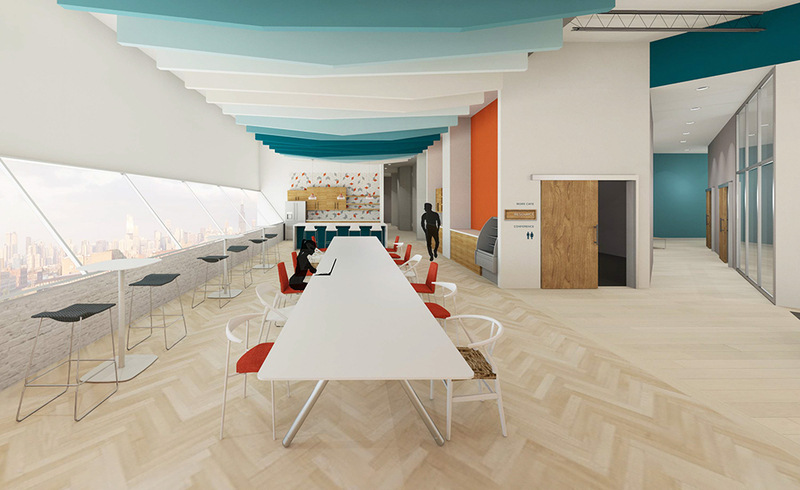 For her honorable mention recognition, Steelcase will provide Hughes with a custom Think chair and feature her in a selection of its marketing materials. Hughes will receive a Bachelor of Fine Arts in interior design from Iowa State in May and hopes to continue working on medical facilities in the Midwest after graduation, she said.